It’s summertime, and there is a high chance that you’ll have people coming over for barbeques and pool parties. Believe it or not, when guests come in your home, they will most likely notice the stains and dirt on the tile and grout from your living room, kitchen and bathroom. 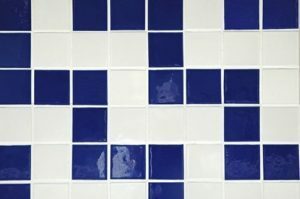 Most homeowners overlook this issue, but having dirty tile and grout can make your home look old and worn down. Making sure your home looks shiny and clean is something to be proud of so why not hire professionals to get the job done the right way and have your home summer-ready! Having your home ready for guests also means getting rid of any bacteria lying around in the grout. The importance of having your tile and grout cleaned goes beyond the looks. If not cleaned properly or not cleaned when needed, bacteria and mildew will grow in these areas and create health risks. Hiring a professional is the best option for clean, beautifully looking bacteria-free tile and grout. We will clean the tiles, help get rid of any bacteria living in the grout and apply a sealer that will make your tile look like brand new. Give us a call today and let us help you have your home ready for the summer. We will save you time and have your tile and grout look stunning.